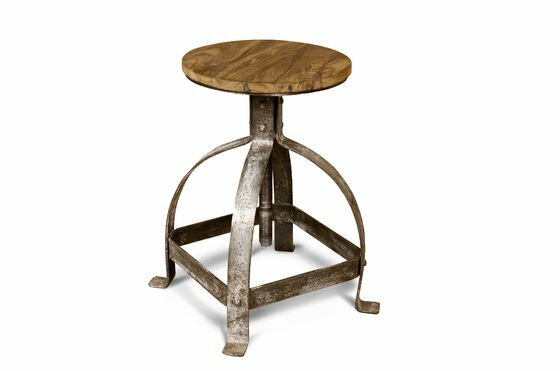 The slightly oxidised grey finish to the legs of the adjustable stool Lateque stool gives it genuine industrial style, which is showcased by the circular teak seat. 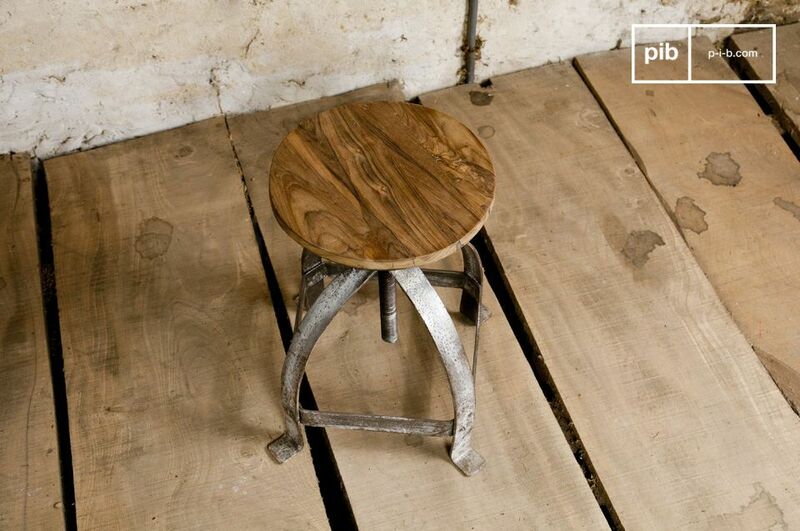 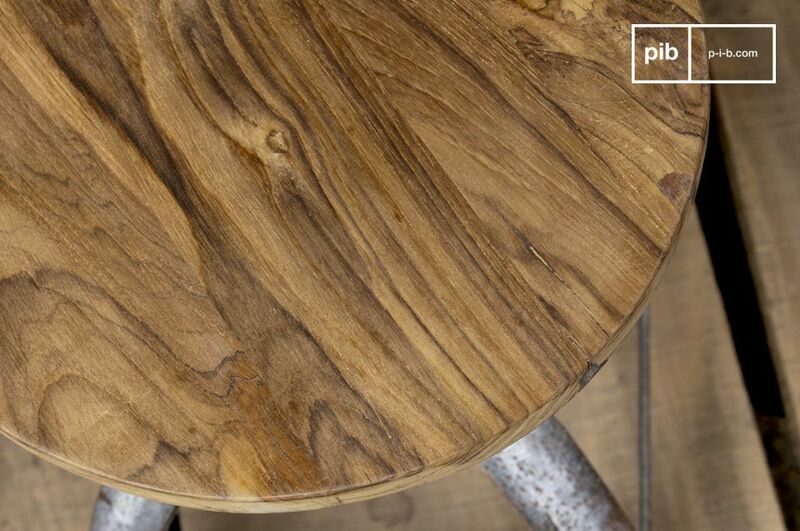 This vintage stool is perfect to add cachet to a kitchen or a bathroom. 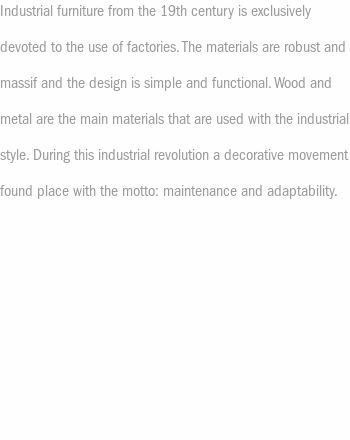 Height adjustable from 46 to 65cm. 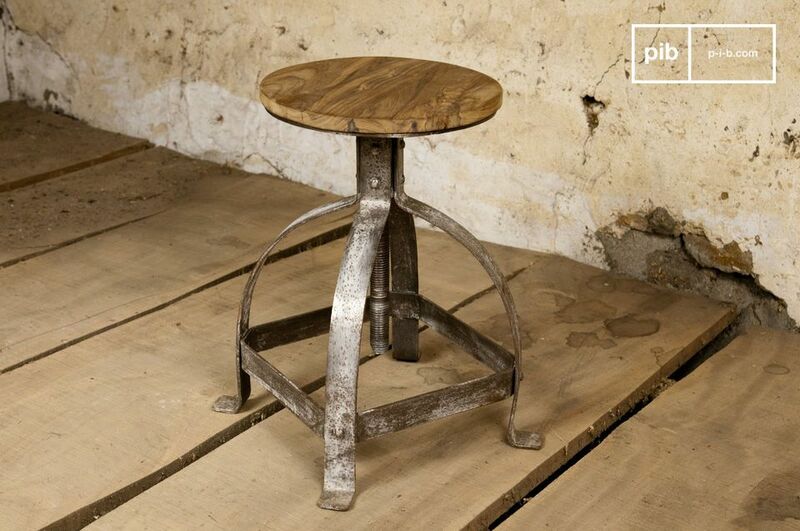 Available to order with a distressed red leg frame.